Your basement is one of the most useful areas of your home. 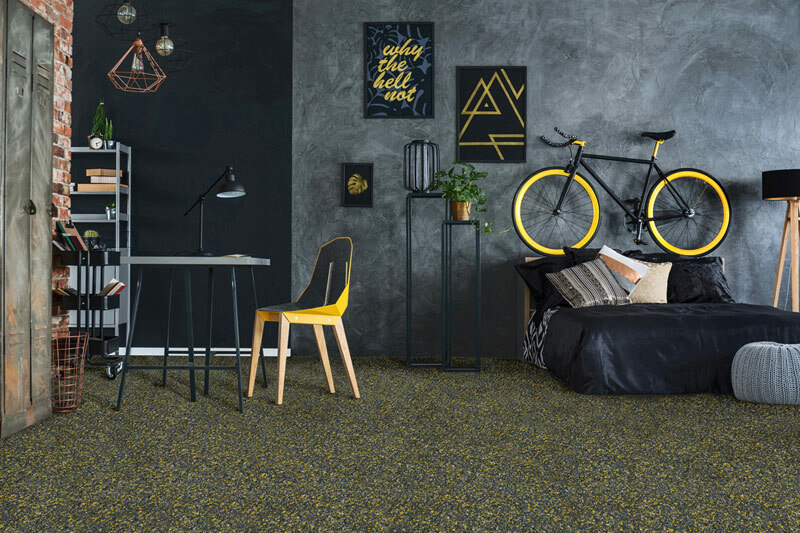 With all the entertaining, relaxing and living that happens in a finished basement, it’s no surprise the floors can take a beating or, even, be entirely overlooked. This oversight can cause short- and long-term issues when it comes to comfort and, often, safety. Basement floors are more susceptible to humidity, moisture, spills, and flooding, all of which can often leading to water damage, mold, and mildew, incurring expensive repairs. 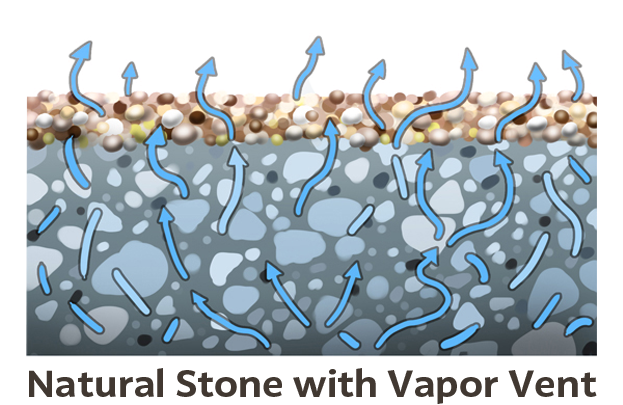 This vapor transmission is like water being pushed up through the concrete from hydrostatic pressure. Regardless of your floor’s age, even the smallest amount of moisture can detract from its integrity, stability, safety, and appearance. Common effects of vapor transmission include discolorations, buckling, or bubbling of the surface or major structural damage. If your basement floor is detracting from the aesthetics or safety of your space, consider upgrading to an Everlast® Natural Stone solution. In today's fast-paced, high-tech world, it’s easy to sacrifice family time in favor of screen time. The first step in spending more time with loved ones is to create a space where everyone can come together, relax and connect. Everlast Natural Stone is the perfect solution for turning your basement into a comfortable, welcoming living space for entertainment and enjoyment. Basements are often naturally dark and cool, with limited sunlight and ventilation—and that can turn even the cleanest basement into a breeding ground for toxic mold and mildew growth. 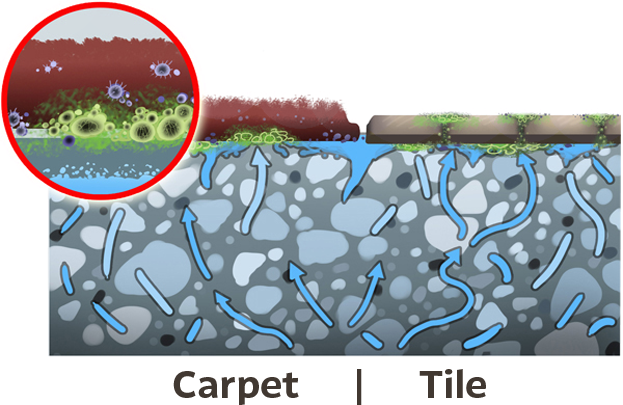 Most conventional flooring surfaces provide little to no protection from these conditions. Everlast Natural Stone flooring is scientifically proven to resist mold and mildew, and can thus improve the quality and cleanliness of your family's breathing air. Everlast® Natural Stone can be easily installed directly over existing concrete, creating a fresh, modern surface and a clean, welcoming look. Best of all, because Natural Stone is a practical and durable material, you won’t have to worry about any high, ongoing expenses or the hassle of difficult maintenance, repair or replacement. Think carpet is the most insulating flooring material? Think again. Everlast® Natural Stone is three times more insulating than carpeted floors and exceeds the benefits that linoleum, wood, tile, and vinyl provide. This increased insulation means more warmth, lower heating bills, protection against mold and mildew, and greater sound absorption for a quieter, more relaxing basement. Everlast® Natural Stone is affordable and reliable. Contact Everlast Epoxy now to get a FREE estimate that aligns with your budget and timeline. Click or call to find out how this advanced basement flooring solution can extend your home's living space and create a warm, welcoming, and worry-free environment for you, your family, and your friends.